However, navigating the 2018 gaming headset market can be tricky business, given that there are hundreds of products available in the market today, targeting different types of gamers, gaming platforms and spread over a diverse price range. Adding to the complexity of an already tough buying decision is the fact that each gaming headset is as unique as the person using them. They come in all different sizes and shapes. The key is to choose a pair that suits your gaming needs, complements your existing setup and does so whilst fitting your budget. For instance, for console gamers who like to battle it out in the lounge, a wireless headset is an appropriate choice. However, if you are into competitive PC gaming and spend substantial hours hooked to your desk, a wired option may be more suitable. There are several such variables that you ought to consider when picking out the perfect headsets for your gaming needs. Feeling overwhelmed? Don’t worry, we have done the legwork for you and picked out some of the best gaming headsets that are poised to dominate the market in 2018. As you must have gathered by now, there are a LOT of gaming headsets out there, with most manufacturers rolling out multiple variants that look and feel almost identical. So how do you then pick one that’s just right for you? Before we get to that, it is important to understand the dynamics of how gaming headsets operate. First of all, it helps to bear in mind that a typical gaming headset is less effective in terms of audio and pure recording quality than a combination of stand-alone headphones and microphone. However, these do offer everything you need for a great gaming experience – portability, noise cancellation, and separate volume sliders that are quick to work with. They also happen to be a lot more economically priced than high-end headphones, so if you are looking for a headset for your gaming needs, these make for a more practical choice. The next important thing is to assess whether a gaming headset is good enough for you. A lot of buyers just settle for a certain model from a prominent brand just because it is recognizable and has a good brand recall value. While that’s the easy way to go, it is not necessarily is best. Before you start exploring your options, you must consider exactly what you need your gaming headsets to do for you. Comparing the features of headsets available in your budget range with your own specific requirements can help you shortlist the most promising ones. Do you want a gaming headset that can also double as a pair of regular headphones? In that case, a pair with an on-ears fit and a detachable or built-in mic is your best bet. 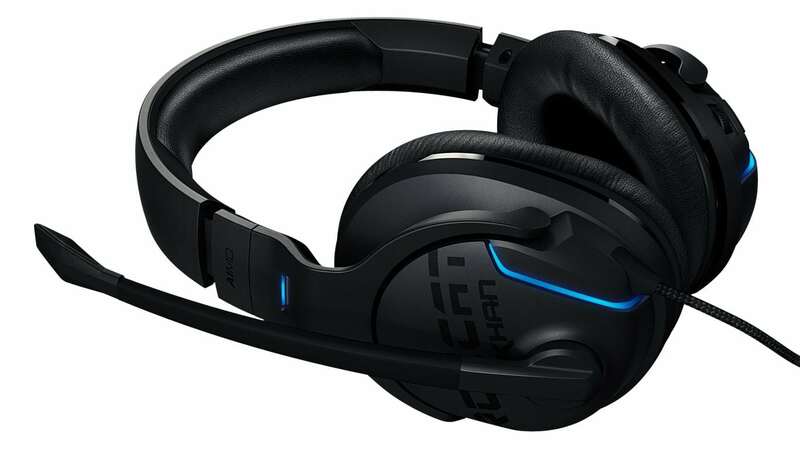 Similarly, a pair with long battery life, comfortable over-ear fit and a promising boom mic make a more suitable choice for those looking to use it for heavy duty and long gaming sessions. In addition to your own needs, you also need to take overall build quality of a headset into consideration. What is the construction like? What are they made of? A pair with an all hard plastic body can be extremely uncomfortable to wear for prolonged durations. You should instead look for a model that comes with an adjustable headband and well-padded cups, at the very least. Your comfort is definitely a key aspect you need to factor in for making the right purchase. After all, no matter how great the audio quality of a headset, it won’t serve its purpose well if you are unable to wear it comfortably for long hours. The audio specifications are another key aspect that you need to factor in while making a choice. Audio specifications is an umbrella term that covers different variables governing the overall audio quality of a gaming headset. Of these, the first thing that you need to consider is the frequency response. It can sound like a technical term but simply put, it is the range of sounds a headset is capable of producing with clarity. However, picking out a gaming headset with the widest frequency response does not necessarily mean better audio quality. Also, different headsets with the same frequency response can offer sound profiles of varying qualities. The best way to determine how the frequency response affects the performance of a device is to test it. Next is driver diameter, which largely determines the amount of ‘oomph’ a gaming headset is capable of adding to the audio quality. The driver diameter is listed in millimeters and here a larger specification does translate into better sound quality, especially when it comes to adding more bass to the audio quality. Another important aspect to consider is the noise cancellation abilities of a headset. 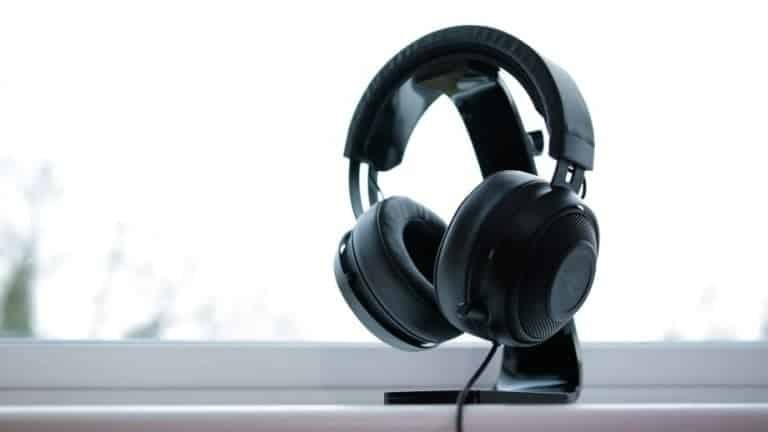 Not every headset is equipped to block out unwanted noises, and more often than not, a noise-canceling headset is needed for an immersive gaming experience so that clack of the keyboard and other ambient noises do not hamper your concentration. 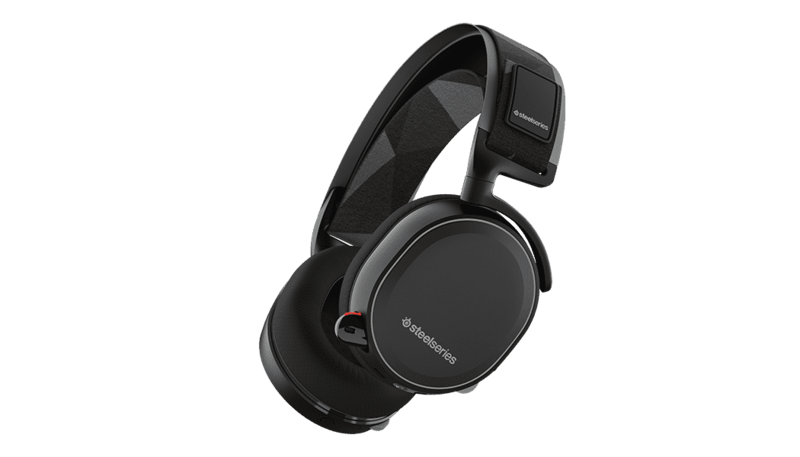 The SteelSeries Arctis 7 is one of the most popular gaming headsets in the market currently. The reason? It is everything a good headset ought to be. One of the biggest USPs is that it is extremely comfortable to use for long periods, all thanks to a cleverly designed self-adjusting band. The inclusion of a USB transmitter contributes to the long battery life and range of this set. The retractable microphone here holds great promise and delivers high vocal clarity. Regardless of what you are using it for, it offers a sublime audio quality. In that sense, this SteelSeries offering is suitable for multiples functionalities, be it gaming or listening to music. It creates an extra sense of space using virtual surround sound, thanks to the DTS Headphone:X that gets employed when using it for gaming on a PC, facilitating an immersive gameplay experience. If you have a budget of about $150, the Arctis 7 should be your go-to choice. 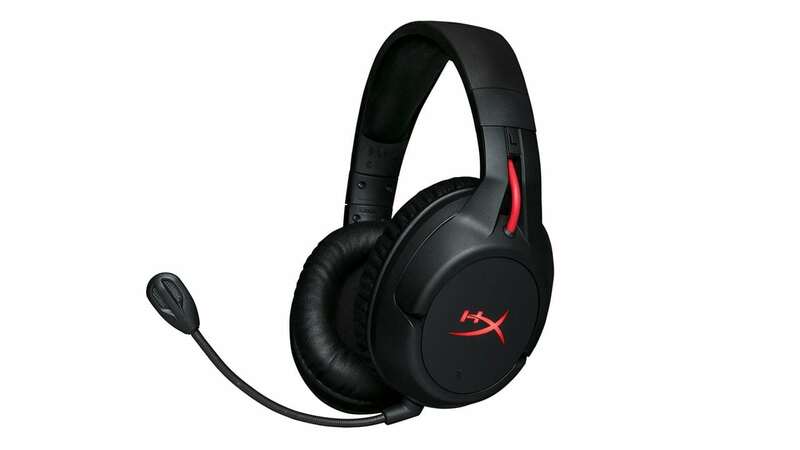 The Cloud Flight is HyperX’s maiden attempt at a wireless gaming headset, and it has done a commendable job of producing a robust, versatile device that performs equally well when supporting games or streaming audio on other platforms. The most striking feature of this gaming headset is its enviable battery life that can last a whopping 30 hours on a single full charge. So running out of juice when using your Cloud Flight on the go is something you’ll never have to worry about – exactly how a wireless headset should be. The bass here is also a force to be reckoned with, packing in a strong punch that’s on par with some of the premium headsets. On the comfort front too, the HyperX Cloud Flight delivers fairly well with its 90-degree ear cup rotation. On the flip side, it does not offer Xbox One support. All in all, a competitively priced, well-performing and attractive gaming headset for PS4 and PC gamers. If you are heavily into console gaming and looking for a wired headset that is well built and easy to use, the Razer Kraken Pro V2 makes the cut. The set sports a robust design and the inclusion of metal on earcups adds to the sturdiness of its built. The cable you get with Razer Kraken Pro V2 is relatively short, making it easier to plug in into the controller without any jumbling up. The sound quality is impressive. There is that slight bass-heavy feel to the audio, which makes it just right for gaming, but at the same time, not too overpowering for music playback. The overall look and design is stylish and has a premium feel to it. If a versatile device that’s user-friendly, great looking and minus the hassle of repeated charging is what you seek, the Razer Kraken Pro V2 will definitely be up your alley. Roccat certainly knows a thing or two about what makes gaming headsets tick, and it proves it yet again with its Khan Aimo – an incredibly attractive package at a competitive price point. This gaming headset offers a 7.1 surround sound, high-resolution audio compatible drivers, and built-in DAC with passive noise canceling abilities. In addition to these advanced specs, this Roccat offering brings a 16.8M colored lighting engine with a combination of pre-set and effects to the table – a clear cherry on this already enticing cake. In terms of comfort too, the Khan Amino checks all the boxes with its memory foam ear pads and premium sliders made from stainless steel. All these features combined make the Roccat Khan Aimo a very easy to recommend headset.